Need a special breakfast or brunch treat? 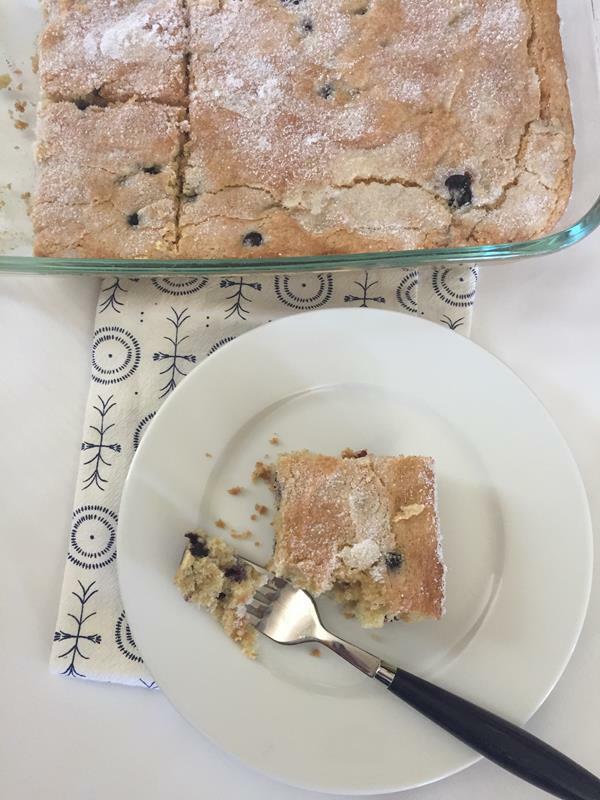 This Blueberry Coffee Cake makes a great breakfast, brunch, or even dessert. It is also a great way to use fresh blueberries during the summer or frozen blueberries throughout the year. 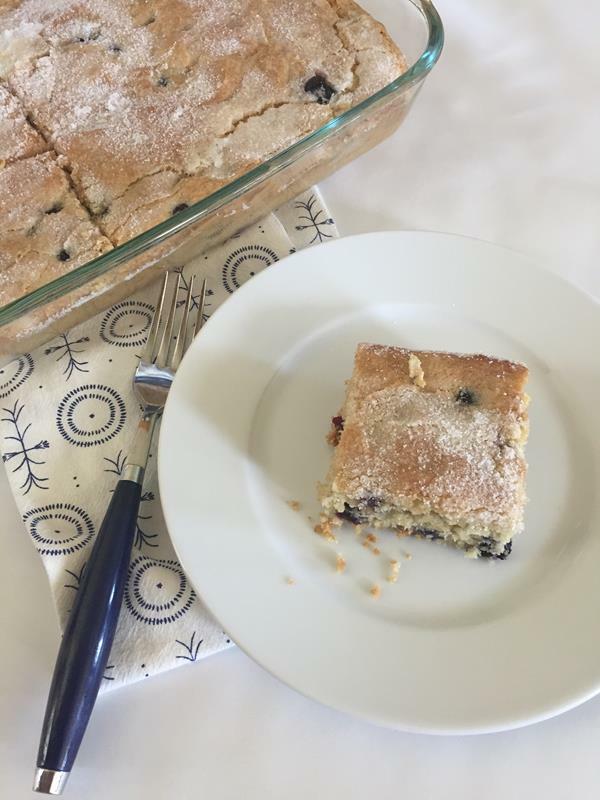 I recently had some fresh blueberries from our garden and decided to make this blueberry coffee cake. This is a recipe that I made years ago. The original recipe was adapted from Cook’s Illustrated. We loved the recipe, but I had kind of forgotten about it since going gluten free. So I guess that means that it has been over nine years since I made this cake. It was definitely time to make it again. Today I am sharing both versions. The version that I made years ago that uses regular flour and the version I made recently with gluten free flour. Either version that you make is delicious. My family loved this cake, especially my husband. They told me that I need to make it again soon. So it will be on the menu plan again before blueberry season is over. I think this cake would freeze well, so next time I make it I might make two. One to eat and one to freeze. It would be a good dessert to take to a picnic or potluck dinner. 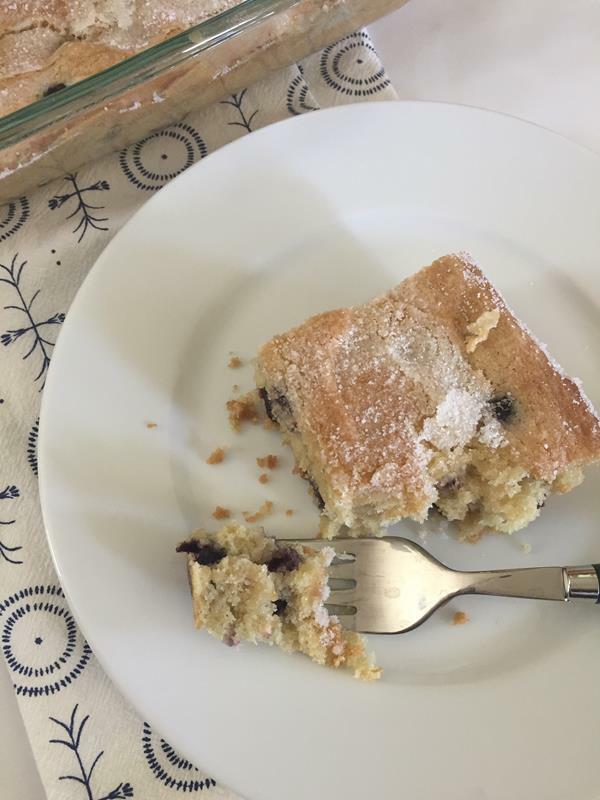 Delicious cake perfect for using fresh or frozen blueberries. Works great gluten free and the gluten free instructions are listed below. In a mixing bowl cream together butter, white sugar and light brown sugar on medium-high until fluffy, about 2 minutes. Add eggs one a time. When well combined, alternate adding flour mixture and milk to batter. Mix just until combined. Toss blueberries with 1 tablespoon flour, then fold them into the batter. Pour batter into prepared pan and spread evenly. Sprinkle remaining 2 tablespoons sugar on top of cake batter.